Run to USA Rugby National Championship begins on March 30 Empire GU and Lex Maccubbin, EGU Men's ED, have announced the 2018-19 Men's D2-D3 Playoff Schedules. The competition will kick off with the quarterfinal round scheduled for March 30. All matches throughout the tournament will be hosted by the higher seed.EGU Men's D2 Playoffs - QuarterfinalsMarch 30, 2019: (at Higher seed)Game 1: #8 Rochester Aardvarks D2 @ #1 Union D2Game 2: #5 NYRC D2 @ #4 New HavenGame 3: #7 Monmo.. 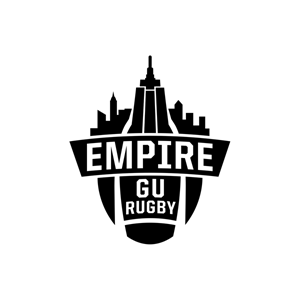 Empire GU Rugby today announced its schedules for the 2018-19 competitive cycle. The announcement was made by Ken Pape, Empire GU President. "We are excited to announce the Empire GU schedules for the 2018-19 competitive cycle," said Pape. "The profile of EGU, its clubs and the quality of play continues to improve and we look forward to another great year of rugby. Best of luck to all of our member clubs and athletes for a fantastic season. "EGU kicks off the 2018-19 campa..
EGU Adds Women's 7s Select TryoutJuly 2 at 8pm, Columbia University The Empire Women Select, a new select side Women's 7s team from Empire GU, are coming off a successful trip to the Newport 7s this past weekend. The side is now holding another tryout tonight (July 2) to select a team to compete at the Monmouth 7s tournament this Saturday, July 7. The tryout will be held at Columbia University Sports Complex (218th & Broadway). Practice will be on the baseball field startin.. Courtesy of Lex Maccubbin On Saturday, June 23, an Upstate Select XV traveled to Buffalo, NY to play the Western NY U23 Selects. The WNY U23 side, organized by the Buffalo Rugby Club (BRC), was compromised of college players who are home for the summer and current members of BRC. The WNY U23s won by a score of 84-19. The Upstate side was missing a few players from last summer's squad but they battled mightily versus a young, fit WNY side. WNY scored the first try as Mike You..
EGU again reimbursing clubs for college summer transfersThis summer, EGU will again reimburse member-clubs for EGU-related CIPP fees for college players transferring in for the summer.EGU has worked with USA Rugby to streamline the transfer and reimbursement process. Please note, in accordance with USA Rugby policy, any CIPP fees related to the transfer must be paid in advance and EGU will then provide reimbursement to the club for the EGU portion of the transfer fees.College Player Transfer Pro..
Meeting will be held July 15 via Virtual MeetingEmpire GU will hold its Annual General Meeting (AGM) on Sunday, July 15, 2018, at 7:30pm via virtual meeting. Meeting details are as follows:2018 EGU Annual General Meeting (AGM) Sun, Jul 15, 2018 7:30 PM - 9:30 PM EDT Web Link: https://global.gotomeeting.com/join/287109557 Dial-In: +1 (669) 224-3412 Access Code: 287-109-557RSVP for AGMClubs are REQUIRED to RSVP for the AGM no later than 5p July 12. Clubs which do..
Information from Morris Rugby used in this reportMorris Rugby used a strong second half to run past Newport Rugby, 58-26, in the Atlantic North D2 Men’s Championship held in Providence, RI. Morris now advances to the USA RugbyD2 National quarterfinals.Morris, the Empire GU champions, and Newport, champions of NERFU, were the top seeds in their conference and the first half was a display of how each conquered league play. Morris opened the match with a quick strike lwith quick phase pl..
used in this reportUndefeated Long Island Rugby Club made its way up I-95 into New England territory to square off against Boston Maccabi in the Men’s D3 Atlantic North Championship match. LIRFC came away with a decisive 52-27 win to claim the title and advance to the USA Rugby National Tournament. Long Island struck first with a try only eight minutes into the match to take a 7-0 lead. Boston quickly countered, claiming points off of a p..
Summer is just around the corner and we're hoping for another scorcher of a 7s season! Rosalie MacGowan, EMPIRE GU Executive Director of 7s, and John McGeachy, NERFU Executive Director of 7s, are pleased to announce the launch of the inaugural Women's Northeast 7s Club Championship Series. This will be an EMPIRE/NERFU combined series and will include three tournaments. At the conclusion of the series, the top two teams will earn bids to USA Rugby's Club 7s Na.. Scholarship honors Buffalo native who was a leader for club, communityThe Buffalo Rugby Club and the Patel family have established The Kamil Patel - Buffalo Rugby Scholarship which is dedicated to honoring the memory of Kamil Patel. The scholarship was created in the spring of 2018 to assist high school rugby players who plan to continue their education in college while playing rugby. Renewable scholarships of up to $500 are offered each year for full-time study at an accredited institution of t..